Cameron ended the free practice session on Friday sixth in class after posting a 1:39.096, only six tenths of a second behind third fastest standard man TJ Toms. 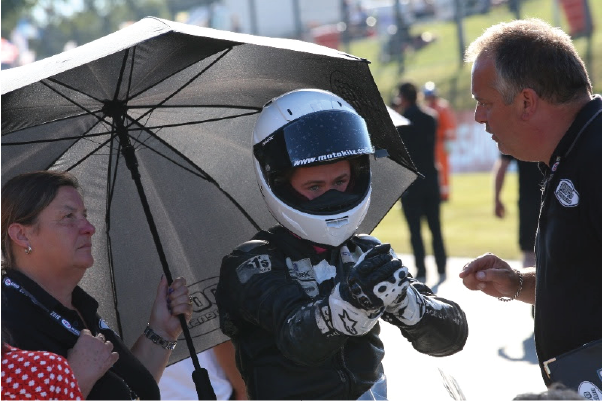 The afternoon’s first qualifying saw Horsman improve vastly in time, knocking off almost a full second posting a 1:38.155, leaving him fourth in class with one qualifying session remaining. 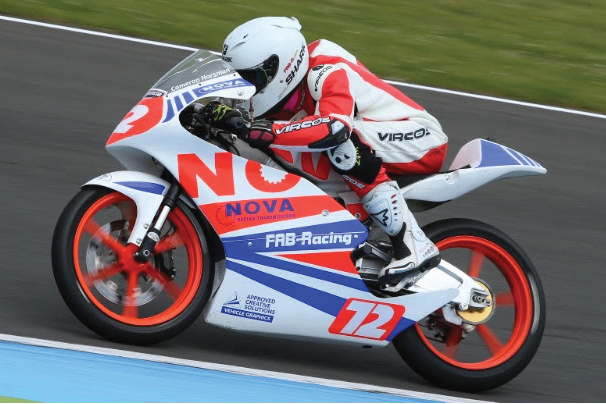 Come Saturday morning the teenager couldn’t improve in time, and dropped to seventh in class and 27th on the grid for the first race on Saturday afternoon. From the lights Cameron made a fantastic start and picked up two places by the end of the second lap, and then became embroiled in a battle for fifth place in class. 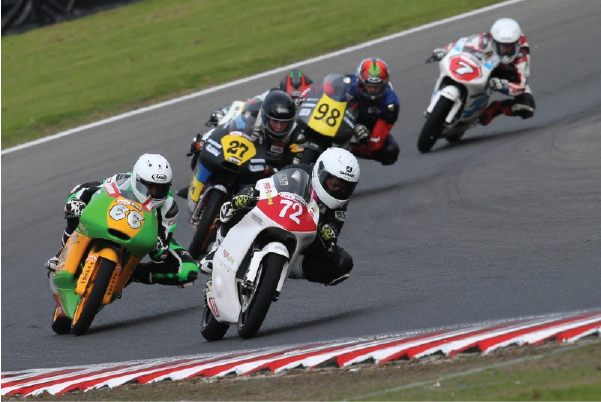 The group of four riders swapped and changed places all race long, while Cameron posted his fastest lap of the weekend in the process, with him nicking 24th place on the final lap, and fifth in class. By virtue of his lap time in Saturday’s sprint race Cameron moved up two places on the grid to 25th for Sunday’s feature race. Cameron made a tough leap off the line and dropped five places on the first lap to 30th overall, the youngster then made his way through the field back into his grid position of 25th, until the final lap where he just lost out to Storm Stacey, taking the flag in 26th place and tenth in class. 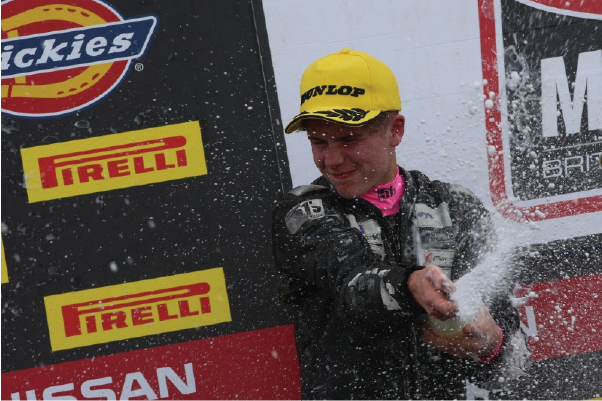 After the weekend Horsman said: “This isn’t how I wanted to end the season, but I have to take the positives, I have consistently improved on my lap times and I have enjoyed two good races, even if the results haven’t showed it. This year has been up and down, we enjoyed a great first half but then the second half has been one to forget really. 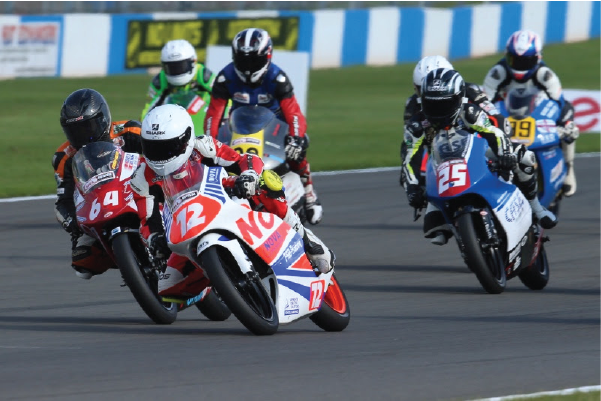 Cameron finished the 2016 Hel Performance British Motostar Standard Championship in seventh place on 206 points. 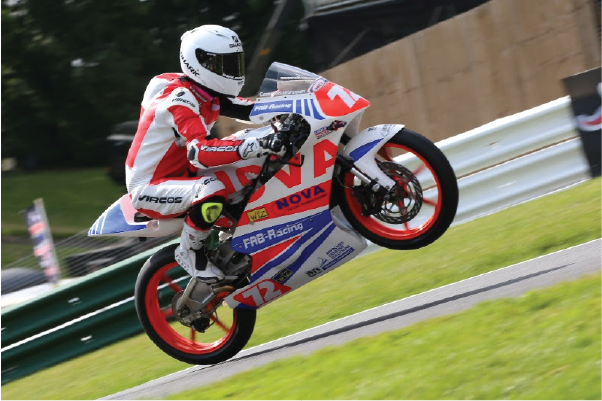 The free practice session saw Cameron make a great start and was topping the time sheets until the final few minutes where was bumped down the order to sixth, only 1.3 seconds behind fastest man Dan Jones. 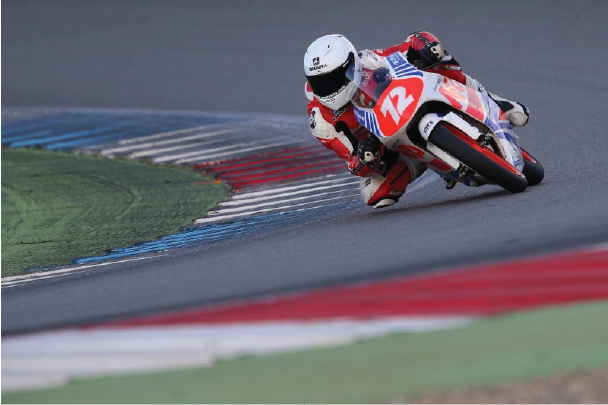 Qualifying on Friday afternoon would see Horsman improve in time, along with the other standard class Moto3 riders, lining himself up in seventh place for Saturday’s first race of the weekend, after improving in time by eight tenths of a seconds. 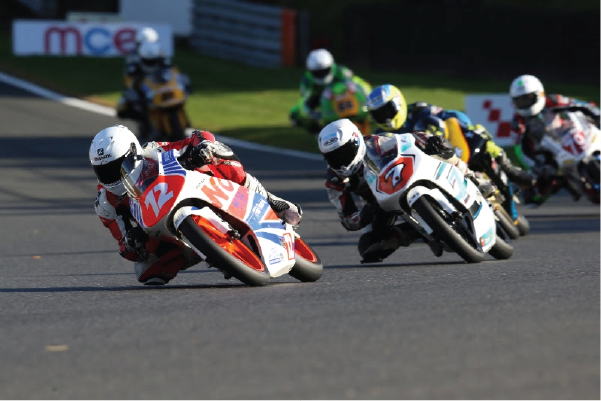 Saturday’s first race saw Horsman make a great leap from his grid spot, and straight away he became embroiled in a ten-man battle for the lead on a drying track. By mid-race the London teenager had dropped to the back of the group, but by the end of the race he made his way back through the pack and crossed the line in eighth place. 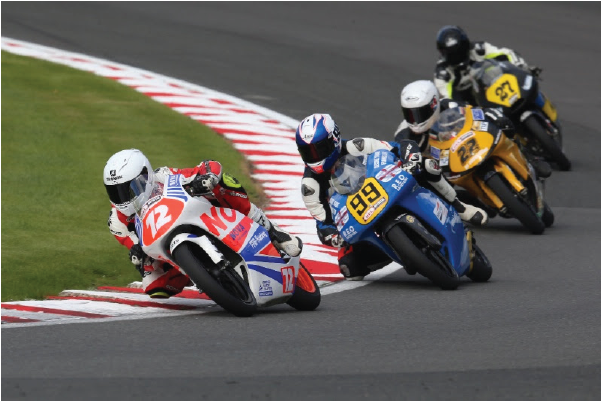 Sunday’s feature race saw Horsman start from eleventh on the grid, by virtue of the lap time he set in the first race. As the lights went out Cameron made a great start, and began to battle in a group for fifth place, as the leading group quickly pulled away. The FAB-Racing/Nova Racing rider swapped places all race long, eventually nicking seventh place on the last lap from TJ Toms. 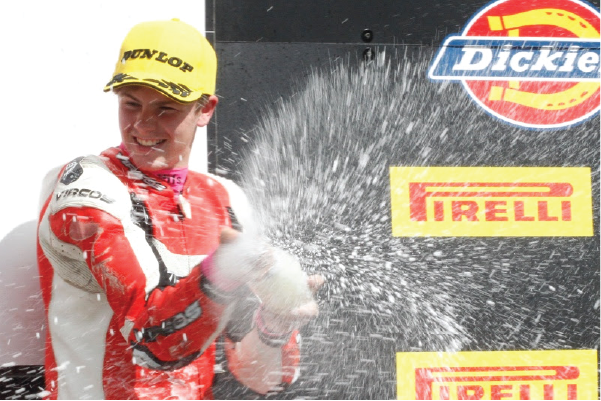 Cameron now sits on 191 points, with two more races left to run at the final round of the season at Brands Hatch in two weeks’ time.